Oh Kevin, you are so great. Never change. We love you Kevin. 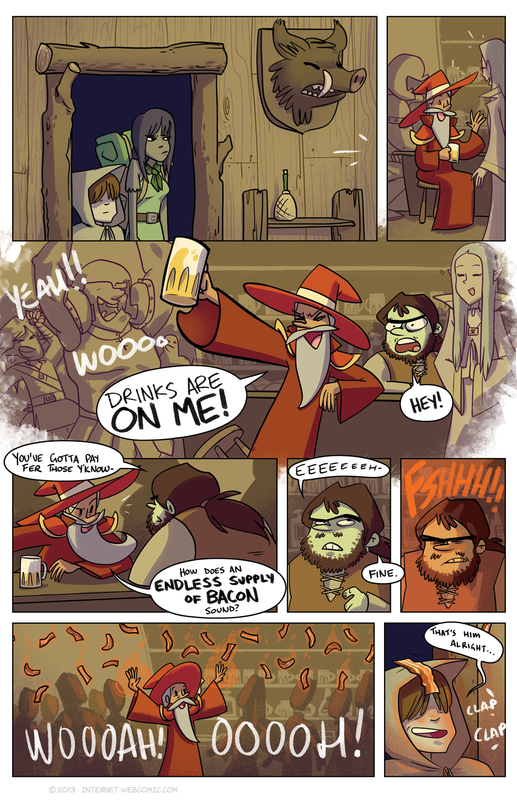 Wouldn’t an endless supply of bacon be worthless with the Bacon Wizard around? In the monetarily sense at least. He’s probably just as likely to summon bacon for anyone who asks, so who would buy it? Is he supposed to look like Rincewind?